Bouquet Dinosaur Party. 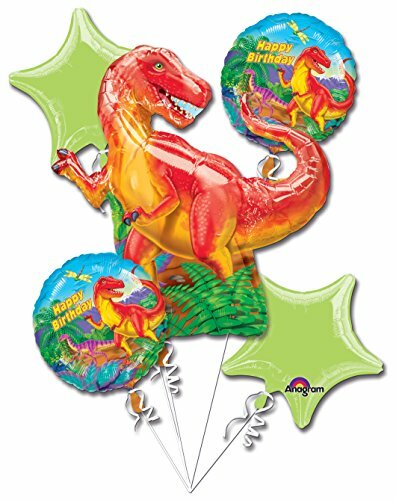 This bouquet includes 1 Super shape balloon, 2 printed 18″ balloons, and 2 Solid color 18″ Balloons. The perfect addition to any party.